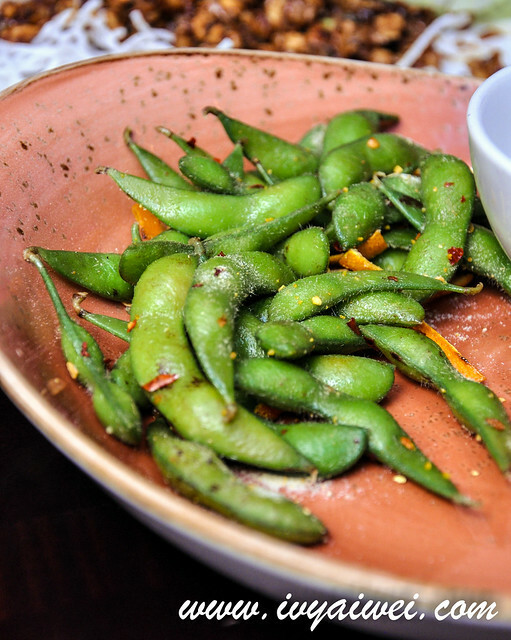 An Asian-themed American casual dining restaurant; serving modern American Chinese food that comes with a fuse of ingredients and taste. Okay lar, in short, it’s more like a fusion food to me where ingredients from the West marry the flavours from the East. 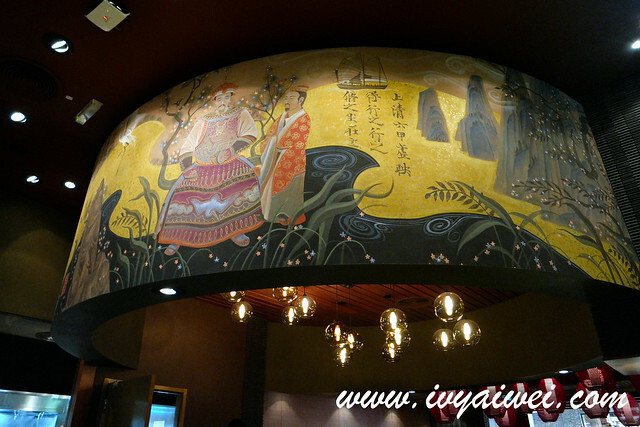 P. F. Chang is decorated in a casual bistro way. It is equipped with the very Western style seating with wooden table and chairs and dimly lit. 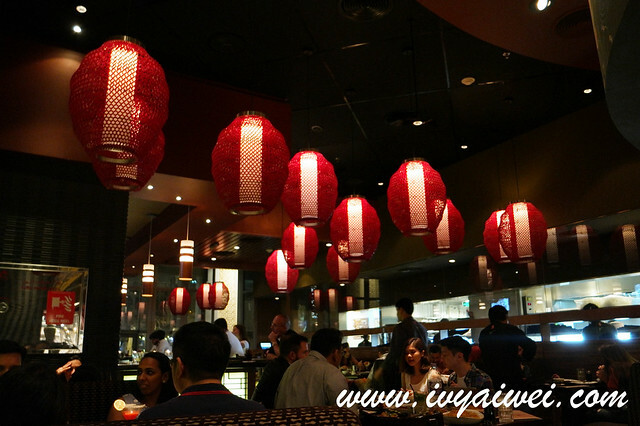 Contrast-ly, there is touches of red lanterns, ceramic vases, Chinese paintings, terracotta horses all over the restaurant. 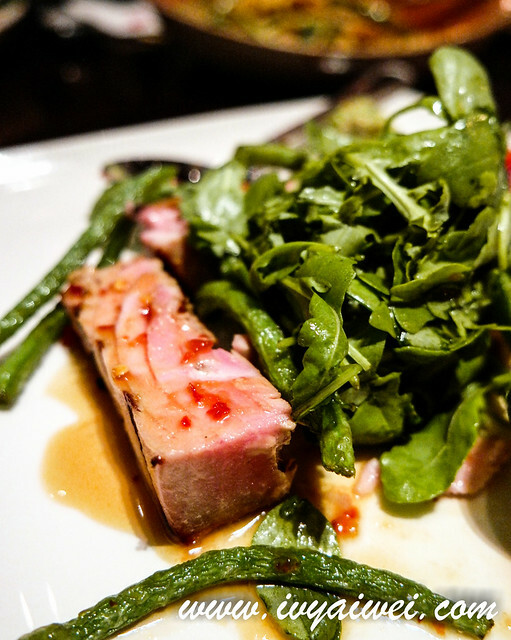 The menu offers a wide variety of dishes from fish to poultry, from appetizer to desserts. 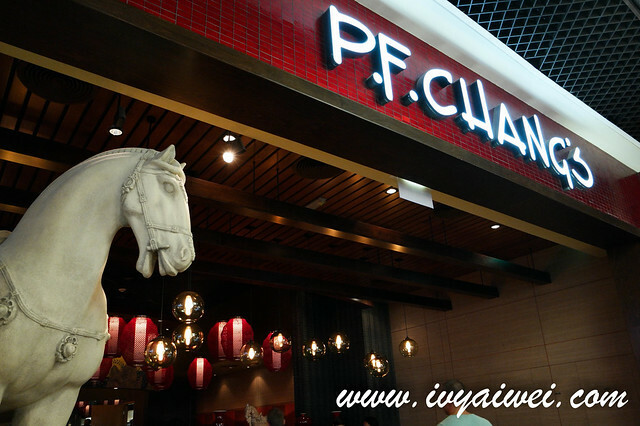 P. F. Chang in different regions offer different menu. Here in Dubai, there is no sight of dim sum and sushi available in the menu. I love the attentive services as well as the friendliness gesture of the servers over here. One of the servers who attended us was very lovely. She recommended us yummy dishes when we were out of idea what to pick after checking out the whole extensive list of menu. Aside of that, she will always drop by to check us out, if we needed anything extra. She too, is very knowledgeable and informed us what are the ingredients used in the dishes. 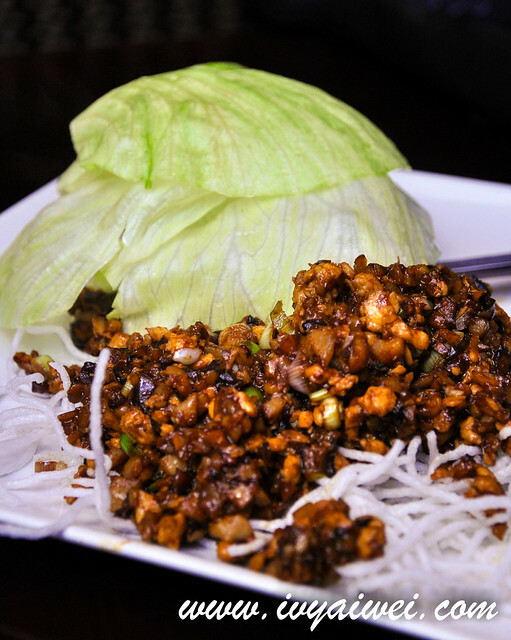 Combination of minced chicken and other traditional ingredients that are wok-fried and served along with iceberg lettuce wraps. The way of eating it reminded me of the Thai basil minced pork dish where it is also made this way and to be eaten with green vege. Indeed a very refreshing appetizer to kick starts the meal. Prettily presented in the cocktail glass was this flavourful battered shrimp with explosive spicy sauce. The prawn was huge and juicy, coated with their look alike thousand island sauce. Ah well, don’t get it wrong as this look-alike thousand island sauce is pretty interesting. Dosed with spices that will actually perk up your palate, wake them up before the main dishes coming in. Must have if you were here as this is one of their signatures. Really exotic! 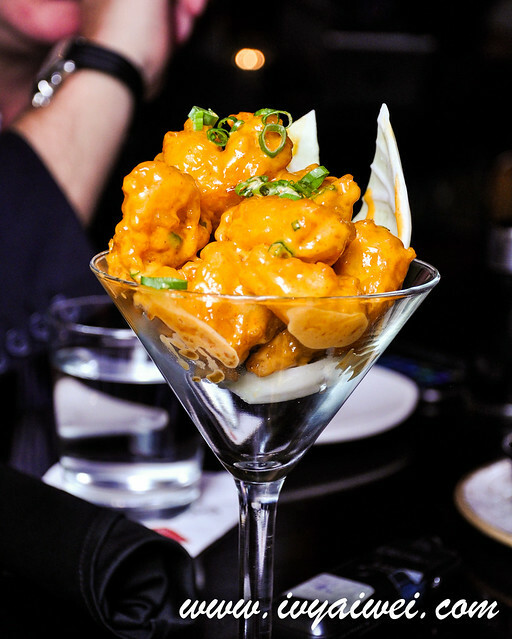 Fused with orange ginger flavour and served as a sharing appetizer. Hmmm, my preference will still go to the original flavour which is just dosed with salt. If orange ginger flavour is not your kind of thing, you can always opt for the spicy version. 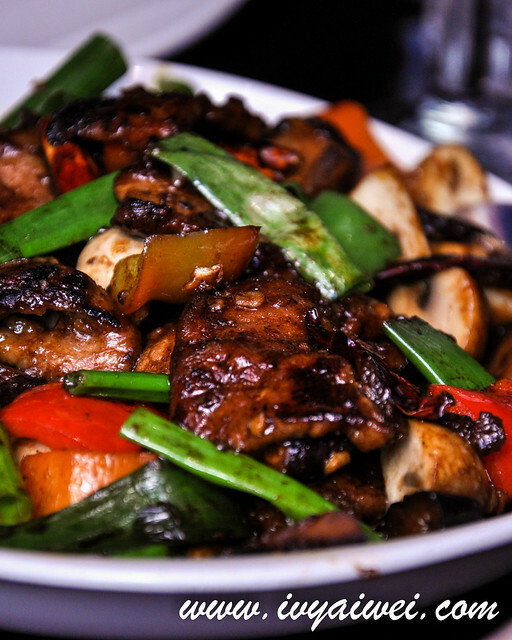 Soft and tender slices of chicken and potatoes, wok stir-fried in a fiery chili sauce. 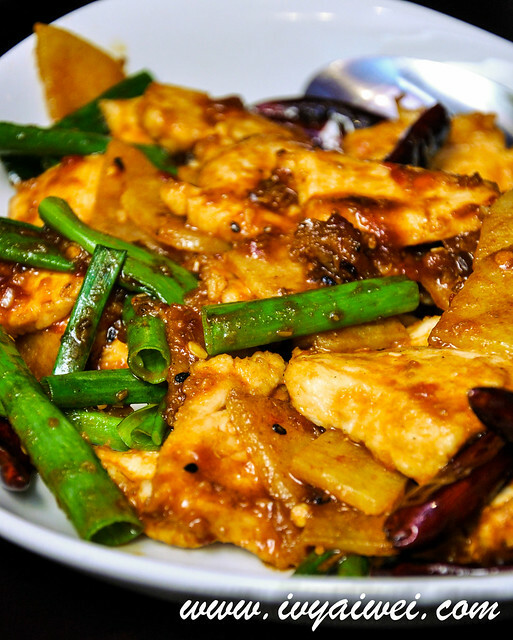 Potatoes and chicken are something we commonly seen in home style Chinese dish, but we normally made them with braised or stew method. Dali style looks pretty eye catchy. However, it is a little too Si Chuan style to me as it was made ma lat and numbed my tongue. 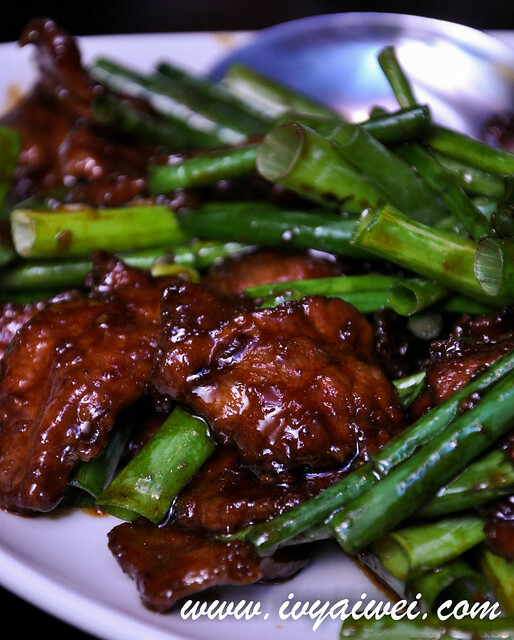 The traditional recipe from the Mongolian region of China, prepared with thin slices of caramelized beef in a balance sauce and tossed with great amount of scallion. I love this succulent and tender caramelized beef. 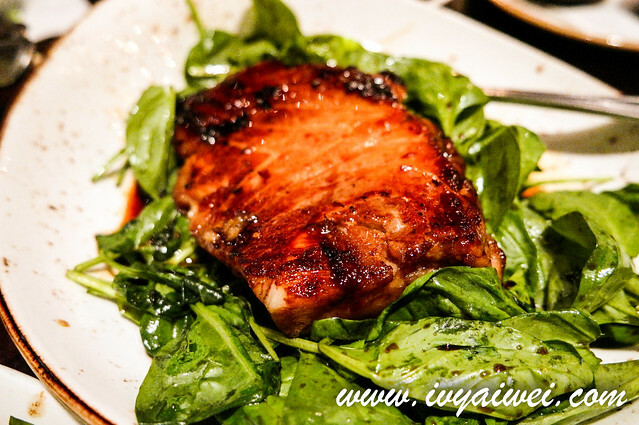 The taste reminded me of the pork spare ribs in Guinness Stout style in our home country instead of Mongolian style which is towards the savoury side. 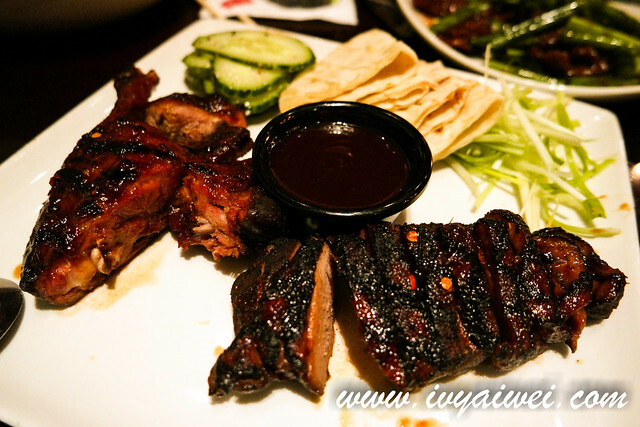 An interesting medley of dish which I could think of – BBQ charsiu, Peking Duck and suckling pig. Really, because all the taste came at once. This was quite unique. The duck meat was tender and moist, even on the breast part too! See, eat like the Peking duck style with the wraps, but dosed with the sweet sauce like the suckling pig, and the colour and taste was like the barbequed charsiu. P. F. Chang is a halal restaurant here, no pork available. Just that, I am trying to describe it with my experience. Best of all the dishes I have had. It was quite mimic to the Japanese preparation of teriyaki fish. Love the sweet coat that layered over the seabass. Not to mentioned, love the fragrance oil bits of this omega-packed fish itself that lingered round the oral cavity. However, I couldn’t really taste the Oolong tea flavour in the dish. P.F. 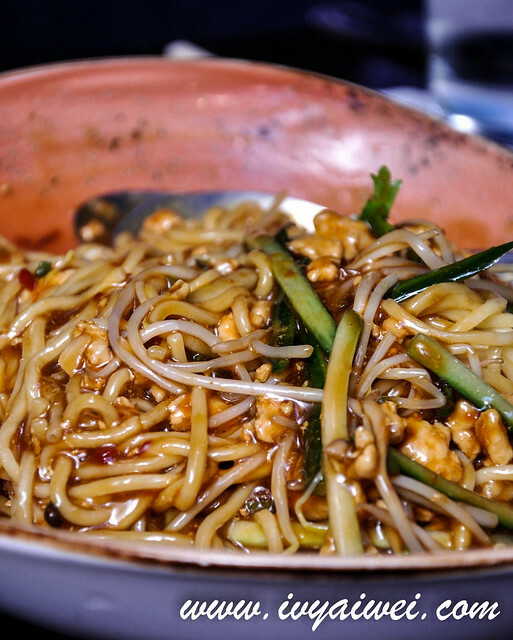 Chang’s classic dish that is made with fresh egg noodles and topped with a portion of the spicy ground chicken and dark sauce, finished with bean sprouts and cold cucumber slices to cool the palate. The noodles’ texture was still bouncy and springy even though after leaving for some times, but the flavour was on the saltier side. 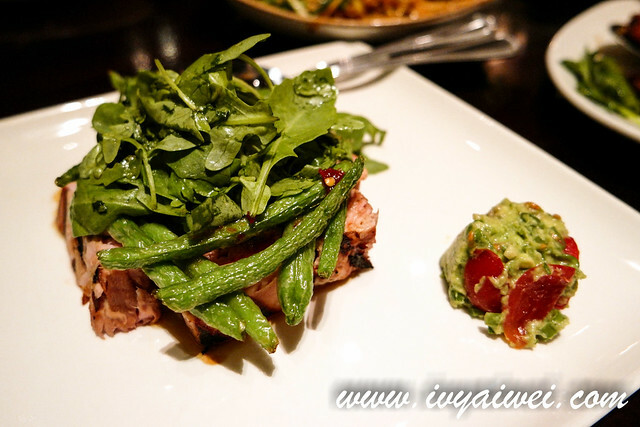 The soy marinated ahi tuna and it was seared to medium rare; served on a bed of fresh green beans and baby arugula, tossed in chili lime dressings and dished up with a small side of wasabi guacamole. It looked so fine dining ehhh, with beautiful plating and all… but sadly, it wasn’t make to real medium rare as I found that the center of the tuna was quite cooked and couldn’t really taste the juiciness of the ahi tuna. Using the technique of searing to give a grill like taste; slices of beef caramelized perfectly with the marinated white and shiitake mushrooms and sweet pepper. Namely wok-charred but it was lacked of wok hei. 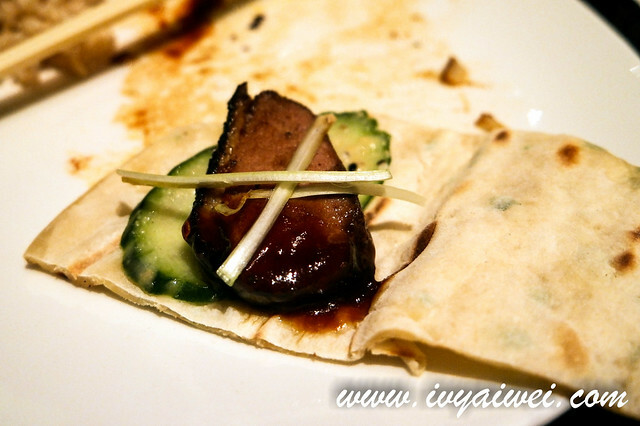 Taste wise, the dish was a lil’ salty to my liking though the beef was perfectly wok-charred with its juice retained. 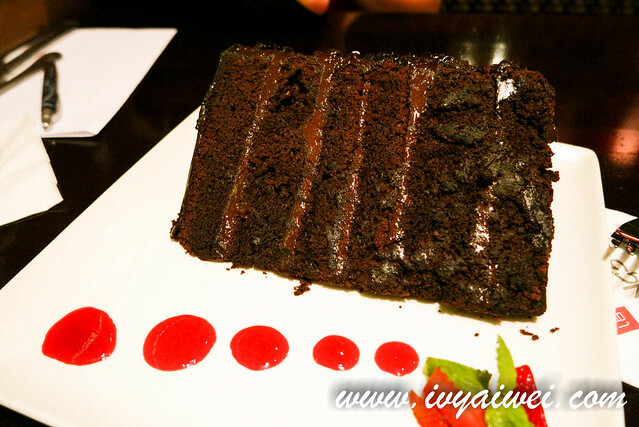 A generous portion of six layered chocolate cake which was richly filled with chocolate frosting encrusted with chocolate chips; side with fresh strawberry cubes. A slice of cake itself can easily feed up to 8 pax though in the menu it was written 4. That’s really huge which the name described it as great wall. I fancied the chocolate frosting and chocolate chips but not the layers of cake as it was on the drier side. 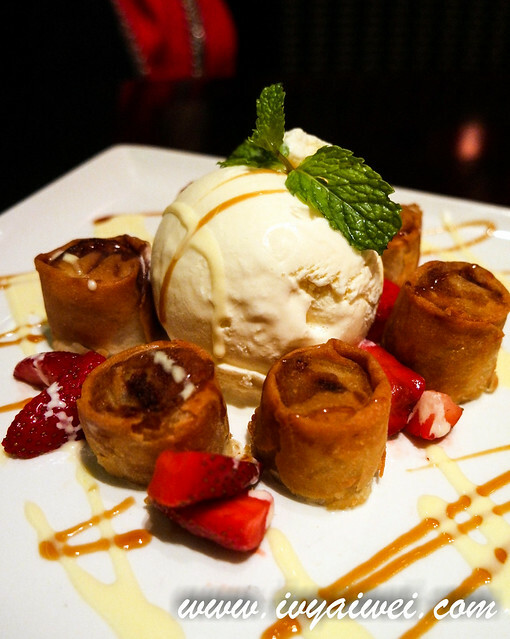 6 pieces of banana rolled in cinnamon and sugar, wrapped in a wonton and deep fried into perfection. They were served warm with soft banana (but not mushy) center and crispy on the outer layer; served with a huge scoop vanilla ice cream. Quite similar to our deep fried banana fritters except it was wrapped with wonton. Overall, it was a great experience dining in the P.F. Chang. The service is prompt and the servers are all very polite. Food wise, it was good. Just that one must not implement authentic Chinese food idea and walk into this restaurant. It is best to carry it as fusion cuisine or modern Asian delights where there is the marriage of East and west flavours in a dish. I always fancy fusion dishes where there is a variety of flavours clash one another and resulted a new flavour and bring my taste buds to a whole new world.